Karen's book, A Caregiver's Journey - Finding Your Way received the Caregiver Friendly Award from Caregiver Media Group. 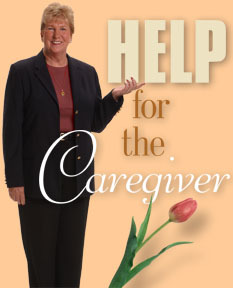 This group includes Caregiver.com and Today's Caregiver Magazine. This award signifies that the author understands the value of supporting caregivers and that the author has created something that not only helps a caregiver care for their loved ones but also improves his or her quality of life in the process. To see what others are saying about Karen's book, click here. Finding your Way from Amazon today! 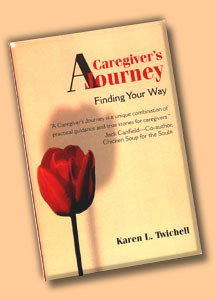 To purchase A Caregiver’s Journey Workbook, please contact Karen directly at 877-645-6693.